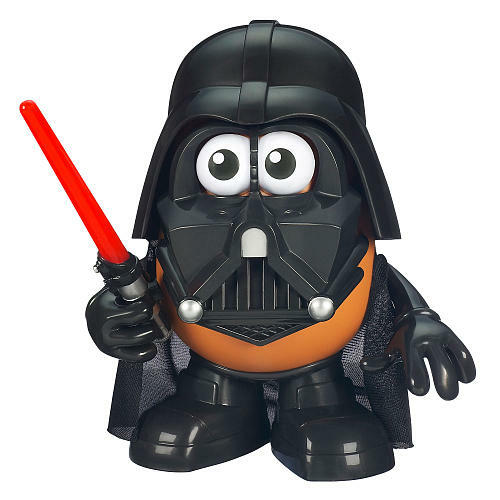 Hasbro has released a new Darth Tater, the Star Wars’ Darth Vader inspired Mr. 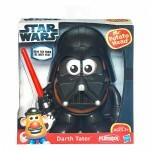 Potato Head, for 2012. Originally, it seemed like it was going to be a reissue of the original figure. However, new photos have surfaced from Toys “R” Us that show it isn’t quite the same figure. The figure sports an entirely new set of accessories including a new helmet, new arms and new shoes. Click the headline of the story to check out the pics, as well as a comparison I put together. Apparently they're doing that to a lot their releases. The other day I saw new versions of Mr. and Mrs. with the tag line on the package saying they've "sprouted legs!" 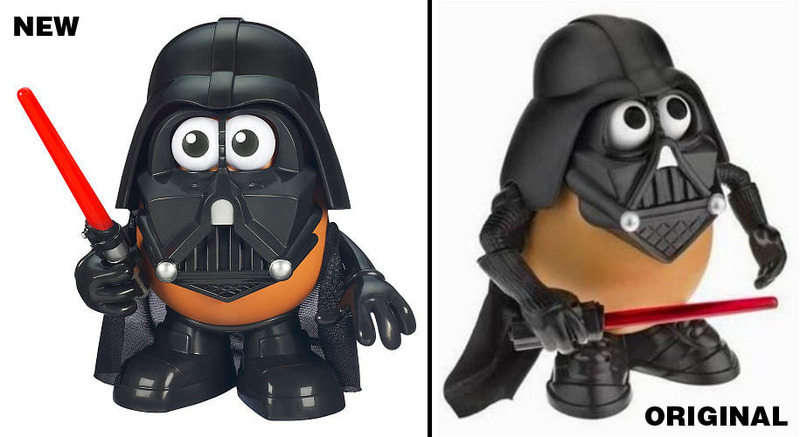 The rest of the redesign for them seems to be a cross between the classic look and the Toy Story versions. Of course, if Mrs. came with a set of "Angry Eyes" I would have totally bought it right then and there. 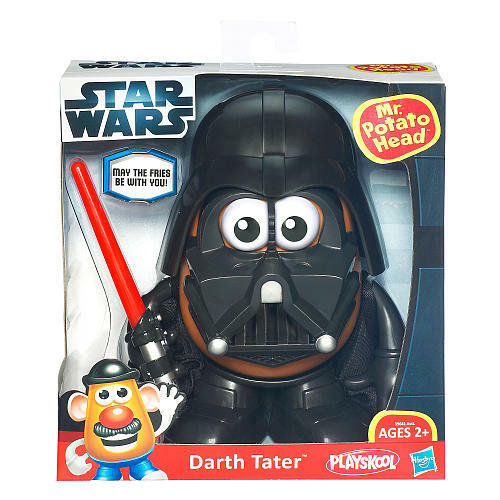 As for the Darth Tater II, I might pick him up, all the same. I gave my original to my kids a few weeks ago. They seem to really enjoy mixing his parts up with their IM2 Tony Starch.